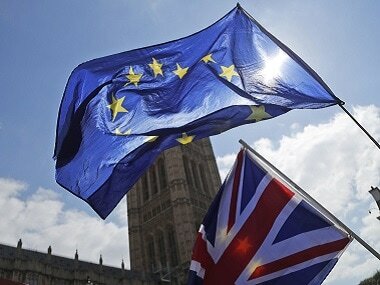 London: Prime Minister Theresa May said on Tuesday that she would ask the European Union for a further delay to Brexit beyond 12 April to give her time to sit down with the opposition Labour Party in a bid to break the impasse over Britain's departure. 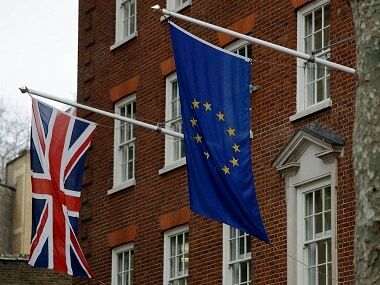 Nearly three years since the United Kingdom voted to leave the EU in a shock referendum result, British politics is in crisis and it is unclear how, when or if it will ever quit the European club it first joined in 1973. 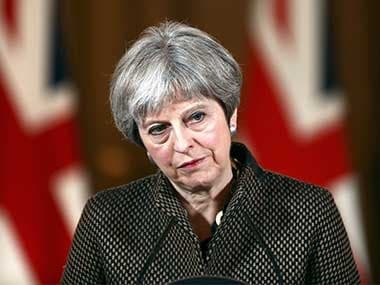 In a hastily arranged statement from her Downing Street office after spending more then seven hours chairing crisis cabinet meetings on how to plot a way out of the Brexit maze, May said she was seeking another short extension to Brexit. "We will need a further extension of Article 50, one that is as short as possible and which ends when we pass a deal," May said. "We need to be clear what such an extension is for - to ensure we leave in a timely and orderly way." "I am offering to sit down with the leader of the opposition and to try to agree on a plan — that we would both stick to — to ensure that we leave the European Union and that we do so with a deal," May said. The pound rallied against the dollar as much as 0.3 percent to above $1.31. It also strengthened against the euro to 85.43 pence. The move by May offers the prospect of keeping the United Kingdom much more closely tied to the EU after Brexit, as the Labour Party has called for a continued customs union with the EU and a close relationship with the EU's single market. Any plan, May said, would have to include the current Withdrawal Agreement that she agreed with the EU in November and which the bloc says it will not reopen, rejecting the demands of eurosceptic hardliners in her Conservative Party who seek a clean break from the EU. May said that if she could not agree on a unified approach with Labour leader Jeremy Corbyn, a veteran socialist who voted against joining the bloc in 1975, then the government would agree on a number of options on the future relationship. Then, she said, the government would put them before the House of Commons in a series of votes. "If we cannot agree on a single unified approach, then we would instead agree on a number of options for the future relationship that we could put to the House in a series of votes to determine which course to pursue," May said. "Crucially, the government stands ready to abide by the decision of the house." It was unclear what the impact of May's move would be on her own febrile party, which has been grappling with an internal schism over Europe for the past three decades. Over half of her lawmakers voted last week to go for a no-deal Brexit, to the dismay of British business. May said she wanted the Withdrawal Agreement Bill to be passed before 22 May so that the United Kingdom did not have to take part in elections that month to the European Parliament. 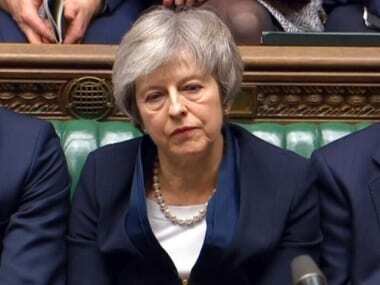 May's own divorce deal with the EU has been defeated three times by the lower house of the British parliament, which failed on Monday to find a majority of its own for any alternatives. 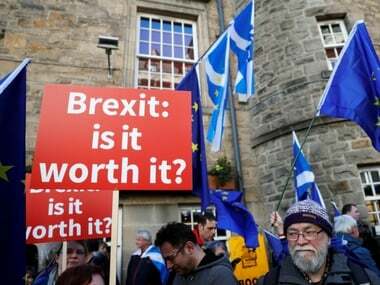 The impasse has already delayed Brexit for at least two weeks beyond the planned departure date of 29 March to 22.00 GMT on 12 April. "This is a decisive moment in the story of these islands," May said. "But we can and must find the compromises that will deliver what the British people voted for."